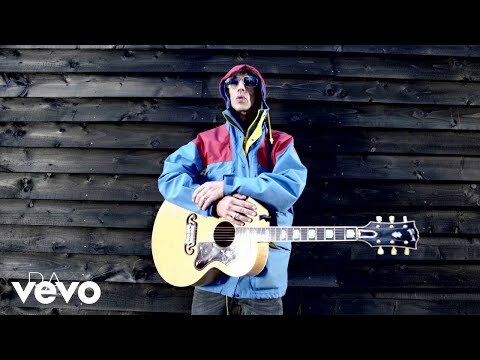 The Verve Live: Review: Neotropic "La Prochaine Fois"
Review: Neotropic "La Prochaine Fois"
La Prochaine Fois is actually a movie made by Riz Malen, who is also known as Neotropic. I have written about the movie as well, so you might want to read that. Therefore, this is a soundtrack. I find that listening to the music makes a bit more sense after seeing the visuals that this music was designed to accompany. On the other hand, the film is subtitled An Ambient Road Movie, so maybe you don't need the visuals. Whatever -- you decide. However, if you get the 2CD set of this release, the film comes on one of the CD's. 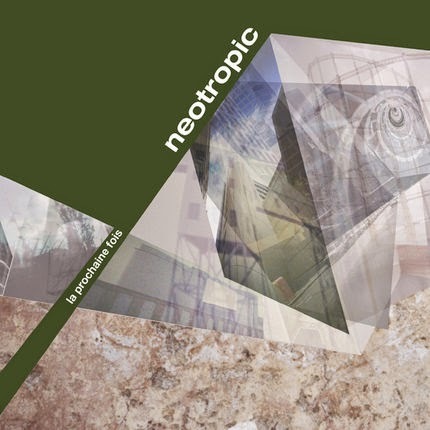 Neotropic makes richly textured ambient electronica. Her music sounds less like Autechre and more like DJ Shadow. That is: as opposed to creating her music out of extremely heavily processed sounds, it is more of a collage. There are recognizable elements: drum loops, the drone of a sitar, the fuzzed out guitar of Nick McCabe, the moaning vocals of Jarboe, etc. It's a different feel than some electronica. I know that a certain portion of the people who bother to read this review will be fans of the guest musicians, so i'll talk about them first. Micro-cosmic is a "re-work" of Do You Waltz by Low. Low fans will remember that Neotropic was involved on the Owl: Low remixed album, and here she once again takes a Low song and twists it into something entirely different. I am not familiar with this particular Low song, but i am guessing that it does not include the intense distortion and echo that you hear in this version. It's a nice enough little song i guess. After the largely vocal-less album, Alan Sparhawk and Mimi Parker's clear voices really stand out nicely. Plus, there is a really beautiful little piano bit. Was that in the Low song, or did Neotropic add it? I dunno, but it's a nice accompaniment to the voices and the wavering guitars. Verve's Nick McCabe does very nicely as well. He turns in one guitar part that is used on Cornershop Candy, Train To Katoomba, and The Man Who Catches Clouds. These three tracks are, i think, my favorites on the disc. McCabe's guitar ebbs and flows under intense distortion and manipulation from Malen. Cornershop Candy features McCabe's guitar chiming next to Jarboe's wavering voice. The song fades into Train To Katoomba, which features the same guitar lick now accompanied by some wavering vocal tones and hesitant beats. A really nice wandering tune. The Man Who Catches Clouds pairs McCabe's riff with some floating horns. Ex-Swan Jarboe lends her darkly rich voice to the aforementioned Cornershop Candy. I like her vocals here -- her voice is slightly buried in the mix of guitar and subdued beats. It really works well. A standout track that does not involve a "special guest star" is Still. This is a song of looped drums, string sweeps, non-lyrical female vocals, and sitar drone. Something about the beat in this song combined with the sampled voice and the strings forces me to think of Movietone. I keep expecting the vocals to take shape as another pretty tune from Kate Wright. And yet this song is WAY more energetic than Movietone. At any rate, this is my favorite track on the disc. My least favorite track on the disc is Memories, which is noteworthy for two reasons. First, it features female rapping that REALLY stands out on this disc. The vocals from Jarboe and Low are both very subdued and really fit in with the general washed-out ambient sound, but the rapping is in the forefront, and thus really sticks out as an oddity. Secondly, well, it's not in the movie. I listened for it, and at no time in the film did i hear rapping. Wierd. It's almost as if this track was tacked on to the end of the soundtrack to lengthen it and make it into an "album". I dunno, but it seems out of place to me. On the whole though, this is decent ambient music. It makes good background noise, and yet is richly textured enough to warrant deeper listening.